@trextvr with @holland_comm @bill_holland_carguy ・・・ Getting ready to plumb the cooling system on T-Rex, a restomod 1974 TVR 2500M that’s powered by a 5.0L Ford DOHC Coyote engine. The AN-20 radiator hose and fittings are from @xrpracing . 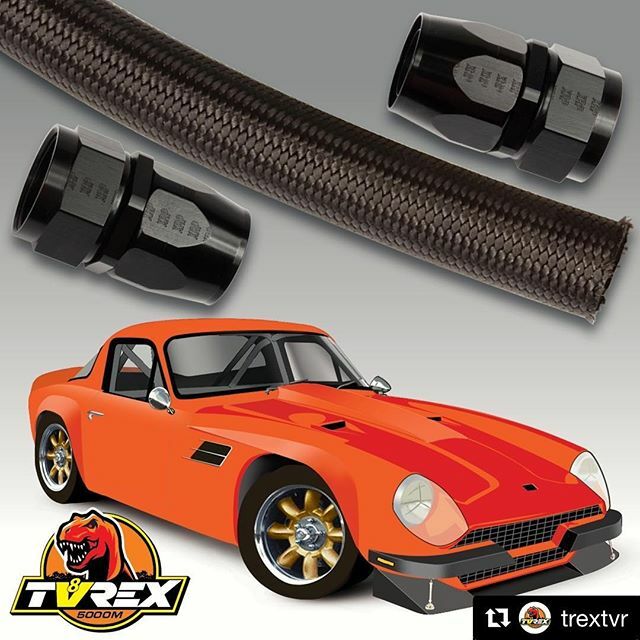 T-Rex will compete in Optima Ultimate Street Car, SCCA Solo, autocross, NHRA drag and SCTA speed trials.The build is being covered on www.Turnology.com.manufacturing tvr_unofficial_blog – XRP, Inc.